After slashing the prices of Honda City by 66,000 Honda Motors India is all set to launch the upgraded version of Honda City in Indian auto market. Yet the launch date of City in India is under cover but it is expected to come in the month of October. The all new Honda City will have some minor changes which helps in freshen up the overall visual of the mid-sized car. It is expected to support exterior as well as interior changes. Honda City price in India is yet to be announced. Honda City review suggest that the car would carry new colors and design cues like new tail lamps that could get an LED treatment and modification in the internal section of the car like modifications with instrumental panel, new interior trim and a new CD player system. 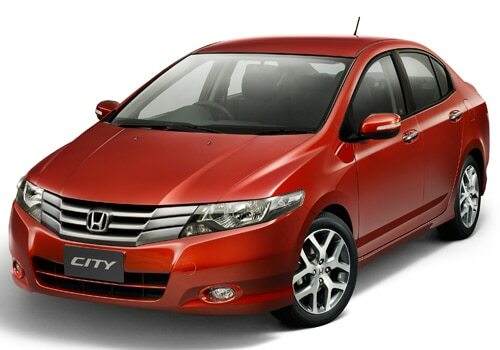 It is speculated that Honda City is integrated with automatic-climate control, bluetooth and auto-retractable mirrors. It is expected that Honda city will get the same 1.5 litre i-VTEC engine with a maximum power of 116 hp with a comfortable cabin fit for five and the large, boot space. According to the sources the all new Honda City have a dual color scheme and fitted with new bumpers, having the feature of air intake. It will adorned fog lamps and the car wheels will include additional spokes which seems like Honda Accord. In whole the all new facelifted Honda City will provide better comfort and convenience as compared to current Honda City. Rising prices of petrol and high interest rates may increase the competition for all new Honda City as new Sedan cars are knocking the doors in the upcoming year. The new Honda City will compete with the likes of upcoming Ford Fiesta, Skoda Lauretta and already established Volkswagen Vento and Hyundai Verna.